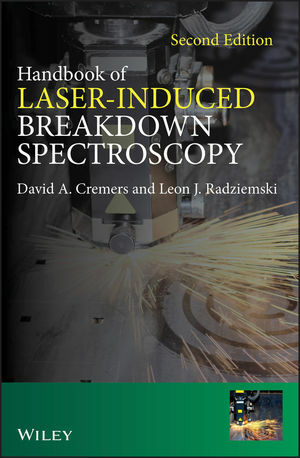 Starting from fundamentals and moving through a thorough discussion of equipment, methods, and techniques, the Handbook of Laser-Induced Breakdown Spectroscopy provides a unique reference source that will be of value for many years to come for this important new analysis method. The authors, with a total of over 60 years of experience in the LIBS method, use a combination of tutorial discussions ranging from basic principles up to more advanced descriptions along with extensive figures and photographs to clearly explain topics addressed in the text. In this second edition, chapters on the use of statistical analysis and advances in detection of weapons of mass destruction have been added. Tables of data related to analysis with LIBS have been updated. provides annotated examples of LIBS spectra which can serve as references for the general reader and will be especially useful for those starting out in the field. Experience: Applied Research Associates, Inc., Principal Scientist, (2005 to present); University of California-Los Alamos National Laboratory, Chemical Division, Group C-ADI, Technical Staff Member, 1993-2004; University of California-Los Alamos National Laboratory, Chemistry and Nuclear Chemistry Division, CNC-2, Postdoctoral Fellow, 1980-1981; Washington State University, Pullman, WA, Shock Dynamics Laboratory, Pre-Postdoctoral Position, 1978-1979. Professional Societies: American Physical Society and the Society for Applied Spectroscopy. Experience: 2006 - , President, Piezo Energy Technologies LLC, a start-up venture with the goal of commercializing? biomedical? applications of a new piezoelectric material; 2002 -2006, Program Officer, Research Corporation, a private foundation for the advancement of science (www.rescorp.org); 1990 — 2002, Washington State University, Dean, College of Sciences, Professor (tenured), Physics Department. Professional Societies: Laser Institute of America, Fellow, President 1991, Board Member 1985- 1994, 2002-, Optical Society of America, Fellow, Committee member; American Association for the Advancement of Science, Fellow; American Physical Society.